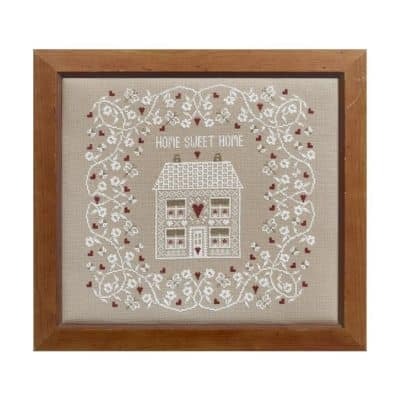 A traditional style Home Sweet Home design featuring a house surrounded by a flower and heart border. Stitched on a slightly darker fabric the white stitching on this piece is really delicate and is a nice alternative to our more colourful designs. This design is available with 16 count aida or just as a chart pack for you to source your own materials.